As we are reading sections of Old & New Testament and a Psalm each day, God has been using it to teach us deeper understanding of principles we've learned in the past, but need to re-visit from time to time, to keep them fresh in our HEARTS, and bring us farther along in our walk with Him. As we read about the Israelites, the truth highlighted is that of obedience. Now, before you dismiss that lightly, stop and meditate a moment on this idea. We are quick to say "we obey God" and in the BIG and OBVIOUS ways, that is most likely true. However, in the not so obvious ways, in the seemingly insignificant ways it would be a good idea to examine our own hearts to determine what's really there. We will probably be surprised to find that often, we simply make our own decisions and choices and go our own ways without ever ASKING GOD WHAT HE WANTS US TO DO! For one who has declared that Jesus is LORD - which means He is essentially "our BOSS' in ALL matters, not seeking is the equivalent of disobeying. The absolute GREATEST thing any of us can ever do in the Kingdom of God is to do what God has specifically made, formed, created and CALLED us to do! Not what the neighbors are doing, what the Pastor tells us to do (though he/she may have very good ideas in that department! ), not what our parents or our children want us to do (kids, I'm not talking about obeying parents in that sense and you know it! :0)- the greatest thing isn't doing what others are doing and succeeding at - it's doing just precisely, exactly, specifically what God Allmighty purposes for YOU as an individual to do in the Kingdom! Meanwhile, know this: God loves His creation and has plans and a specific purpose for each and every one of us! fits in this new setting, which is outside of what would be considered "normal". Having given up living in one location with the intention of 'permanent', given up career employment and ownership of our own business, given up living in a house even, the things that used to constitute ministry, we are finding, are not applicable. Every step of this "Great Adventure" has been a learning experience and opportunity to grow in Christ, and provided greater means of outreach to others to share the message of salvation. In other words - all very exciting stuff! For that reason, we find continually the need of praying and earnestly seeking Gods direction and now most specifically, His definition of ministry. We started off doing the things that "worked" in the past - seek out likeminded believers, set a foundation in the local church, share music and the message of salvation - and when it went "flat", we were shocked, surprised, frustrated - and then JOYFUL! - as we came to understand that God was doing a NEW THING in us and through us. We did not give up our supposed "everything in this world" for no purpose - but for His perfect purpose and that required some changes - first in us, and then we would be prepared for Him to work through us. to be defined and accomplished will be acceptable at this point in our walk. Allelujah, what a creative God we serve! At first, we were a little taken aback, and even a little put out that what had always worked before no longer worked! Things were no longer simple, and we no longer felt capable and adequate. To have come this far, and find it didn't "work" like we thought it ought to work was a bit of a shock to our systems! And that is the point!! God sometimes needs to shock our systems to get us OFF OUR THOUGHT TRACK AND ONTO HIS!! We did not give up all and head out for a "Great Adventure" that was simply more of the same old, same old! God is far too creative, and His message far too precious and those souls who need to hear are far to important to settle for "normal" in this endeavor. WHAT WERE WE THINKING???!!!?!?? Aren't I the preacher that stood in the pulpit and boldly declared to everyone that God never changes but He changes us CONTINUALLY?!? Praise God we don't have it all figured out yet and PRAISE GOD we will NEVER have it all figured out! We will always rely on Him, always pray to Him, always call on His name and seek His guidance and operate by FAITH IN HIM! Life, created by God, designed by Him to be a truly "GREAT ADVENTURE"! Stay tuned for all the Tide Turning Tales to come! God speaks, are we listening? In the Bible, we are told to be "led by the spirit". Have you ever wondered what that meant? I've given that idea a LOT of prayer and thought and I've discovered something I hope you'll find useful. God speaks to us in MANY different ways, that's not a new revelation. Sometimes it's that still small voice we've heard about, sometimes the way circumstances push us, often it's His word as already written - He just brings it to our attention in a new or insistent way, and sometimes He speaks audibly. I'm learning that once we start desiring something that He has instructed us to desire, He can be very creative in how He brings it to pass. For instance, He may speak in one of the ways I've listed above, or He may speak VOLUMES to us in the simple act of our obedience to Him in one area, which He then uses to tell us other things. I have also experienced recently the use of what we might call dejavu. There have been two occasions in the last two months where I've a distinct sense of having been here and done this before. The second time it happened, I prayed and asked God if it meant anything - this sense of having already been here and doing what I'm doing, and I knew He was confirming for me that I am in the right place! We are the one's who limit God, He is limitless! He is so creative, coming up with different ways to communicate with Him are no problem to Him at all. Through out the Bible, He is constantly telling us He's doing new things, different things, creative things. God is always speaking to us, are we always listening? We've been so gloriously busy with the DOING of the Lords work, I've hardly had time to think about writing about what we're doing! It's been a wonderful time these last several weeks, lets see if I can catch everyone up. Clay & I were examining our hearts, praying mightily for Gods direction and trying to continue moving ahead without doubt or fear. We were wonderfully reminded by the Holy Spirit, that God gave us very clear directions before we ever left Colorado - that we were to "do the insignificant". I've become very aware of how easily we get caught up in doing the things we think are important, the things we decide are worth doing and it usually has something to do with US - our feelings, our needs our desires our standing our abilities our our our- I think you get my point. At the same time, we've been experiencing this "sense" that God is always on top of everything AND YET we cannot simply take that for granted - our need of Him and His intervention in our lives is too critical! So, we should be assured that God is in control and have FAITH of that fact, but not be arrogant, smug or overconfident - this keeps us pressing in to the Lord, growing in Him, on our knees in prayer - this overwhelming knowledge of how greatly we are in need of Him. Jesus said, you are the branches, I am the vine. How true!! We "sprout leaves" so to speak and bear fruit BUT we cannot do these things without the sustenance we get from the SOURCE! We know this, yet it bears remembering with humility! 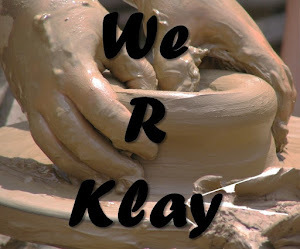 A lot of what Clay I do involves the music we bring to people. Our original worship music is a blessing and opens many doors for us, allowing us to then share the gospel with many souls. We had been invited to participate with a public event taking place at the Ft. Pierce Marina. It wasn't a "Christian" event, but one of the sponsors liked our music and it opened the door for us to be invited. As the event got underway, Clay & I began to practice and unknown to us, clouds were rolling in. Long story shortened, an electrical surge blew out our amp. Uh-oh! Memorial Day weekend, nothing open - what were we going to do? We found a music store - but they wouldn't even get to look at the amp til Wednesday! We'd tried putting in a new fuse, hoping that was the extent of the problem - but no luck there! Every time we turned the amp on, it blew the fuse immediately! So we left it at the music store and began to pray. God worked some very interesting things in our hearts over the next week. We began to see some areas in our hearts that needed attention, some important pieces of our relationship with the Father that we'd been a bit neglectful of. We began to pray in a more concentrated, more submitted sort of way. I'm not sure I can find the words to exactly describe. God was calling us to come in deeper with Him. Clay had a realization - YOU DON'T ENTER THE HOLY OF HOLIES UNLESS YOUR RIGHT WITH GOD BECAUSE YOU CAN DIE IN THERE! WOW!! There's a thought we can all chew on for a good long while! The thing was, we became aware that we are being called into a more intense place. Those who have made a committment to pray specifically for us often receive requests from us to KEEP PRAYING. Prayer is so important and changes things drastically here on this earth and yet we can often get neglectful about prayer. We are VERY AWARE of how much we need constant prayer! so we call the music shop on Wednesday - they haven't had time to look at it, never mind tell us whats wrong and can they fix it. We are getting a little panicky since we have limited funds and need that amp. At the Tuesday Worship service we do in Palm City, we went with acoustic guitar and me speaking LOUDLY, which thankfully I'm pretty good at. Thursday, they still hadn't looked at the amp. Friday, they still hadn't looked at the amp, and we went around to several other places, just checking, and NO ONE ELSE in the area repairs amps. Saturday, they still hadn't gotten around to even opening the back panel to check if the whole thing was completely fried or not! Now here's the cool thing - sometimes we think we're going to do one thing and God has other plans. There was a business down in Ft. Pierce that Clay was interested in applying for work. When I asked him if he wanted to go on Saturday, his answer was unusual, but I believe led by the Spirit. He said, yea, lets go and do some ministry down there. Ministry? At a job interview? Ok, I was up for it. But then we got there and the job wasn't ANYTHING Clay would be interested in doing and we started to head back to Jensen Beach, but guess what? We were just down the street from the music store! So we decided to stop in and we weren't sure what we were going to do, but we were getting just a little frustrated with the situation. The same young man who originally waited on us was there, and just as polite, but still, they hadn't even LOOKED at the amp!! The owner of the shop came in just then, and we VERY politely inquired as to the possibility that he might LOOK at the amp, and tell us if it was hopeless or hopeful at the very least. This led to a dialog, which led to a conversation, which led to all of us sharing our hearts about the state of things in general and discovering that we all had some very definite thoughts in common. At that point, the owner indicated that his hesitancy had a lot to do with his belief that the surge would have burned out the circuits, and getting parts would be more expensive than the amp was worth - BUT - he did have this other amp, similar but different, that he would let us have for a truly reasonable amount of money (and then Clay asked for a deeper discount AND HE GAVE IT TO US!). After some more happy conversation and sharing and having made ourselves some new friends, we took our new but gently used amp home. Plugged it in, and guess what? The sound is cleaner and crisper than our original amp!! God is GOD in the ordinary everyday things. We needed a new or at least a better amp, and He provided it. From what seemed like a bad situation, He brought about GOOD. In our routine lives, He is AT WORK! We can be assured that God is EVER FAITHFUL, but we cannot take it for granted! We must continually acknowledge our need of Him and His love and grace and mercy in our lives. It may seem like we know these things, but if we are not careful, we will get complacent about them and we weill suddenly find ourselves in tough spots and wondering where God is in all of it - when all the time, He's right there and we've NEGLECTED this most important thing! I know this has been a rather long post, but it is our sincere and earnest prayer that the truths shared here will encourage others and help others to recognize that however well things are going right now, we still need God on our side! You know that scripture that says "IF GOD BE FOR US, WHO CAN BE AGAINST US?" Don't forget that first, and very important word: if. IF God be for us... Are you absolutely certain that God is for you? The message today is as simple and straightforward as it was thousands of years ago: repent and be saved. Gods great blessings to all, and may you all know His love today! Just one conversation, just one prayer can change someone's entire universe! I know it did for me, one persons prayer for me changed the course of my life for all eternity! Prayer is the most powerful weapon a Christian possesses. That's why the devil fights so hard to deceive us into thinking its useless. Tries to lull us to sleep whenever we settle in to pray - tries to get us to think there is no power, no purpose to the time spent asking, seeking, knocking on the door of heaven. This week, Clay and I were definitely experiencing some opposition! We even started to wonder if we were in the right place, doing the right things, had any purpose at all to our "Great Adventure"! We were downright oppressed by a certainty that we served no purpose, had "missed" God, were spinning our wheels and going nowhere! We felt useless, BUT GOD had a use for us. We'd been "under the bridge" several times now, sometimes with the guitar, sometimes in fellowship with the Jensen Beach Christian Church, serving breakfast to all, sometimes bringing sandwiches and water to the homeless and alcoholics who hang out at the pavilions. This time, we were walking Jack, letting him play and chase the sand crabs and the lizards- just walking along, no thought or purpose in mind, feeling a little "depressed" even, as we had just come from two events we thought were God opening doors, yet fizzled and faded. I felt like " we may have seen an open door, but we sure tripped over the threshold!" As we sat on the wall watching the water for these cool fish that jump into the air, which I'm trying to capture a picture of to send to Grayson and Noah (our Grandsons), along comes Eddie, one of the homeless we've spent a little time with. Carrying the everpresent beer, he stopped to say hello when I greeted him. I invited him to sit and visit. For some minutes, we simply listened to his tales, deflected his several requests for money (we'll give them food, but won't give them money to spend on alcohol and drugs)and kept the conversation general. Then, led by the spirit, I began to press him a little - gently, ever so gently - about his relationship with Jesus. He claims he's saved, that he knows the Lord, yet there is no reflection of it in his life, as the drink leads him on a merry go round of jail, sobriety, freedom, drunkeness and usually back for some jail time due to pan handling (apparently not legal here) and disorderly conduct. As we continued the conversation, I responded to the Holy Spirit pressing me to press him a little harder, a little harder, a little more specifically, until Eddie broke, broke down and began to cry, began to open his heart to the love of God, which he just couldn't believe! How could God love him, this drunken and disheveled man who lived his life in such opposite manner of a Holy and Just and Righteous God? So we shared with him, how much God loves him, what it meant, really meant, that Jesus died on the cross FOR HIM, specifically to forgive his, Eddies, sins and set him free! We prayed, powerfully, for this man who's heart had broken, finally allowing some light of truth to illuminate it. We'll continue to pray, and hope you our readers will too. How easily it seems TRUTH gets choked out by the woes and hurts and pressures of life. People need PRAYER to stand fast, stand strong and let their faith build, so their lives begin to change under the Hand of the Almighty. Eddie, when that change is rooted and grounded, will be one who can reach many more for Christ. Pray for Eddie, and all like him. Pray for laborers, who will GO OUT INTO THE FIELD AND FIND THESE LOST SOULS!! They hide and are hidden from our everyday view most of the time. We must not get weary - but continually seek the lost and by the leading and power of the Holy Spirit - share the saving grace of Jesus Christ with them, because that's what our Lord commanded us to do.